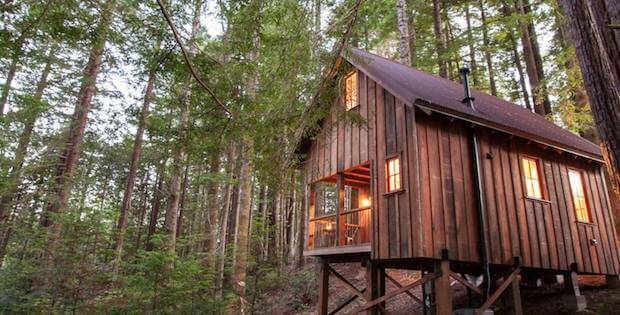 Karen’s Cabin in Albion, California is a tiny home hidden amongst the beautiful redwood trees. 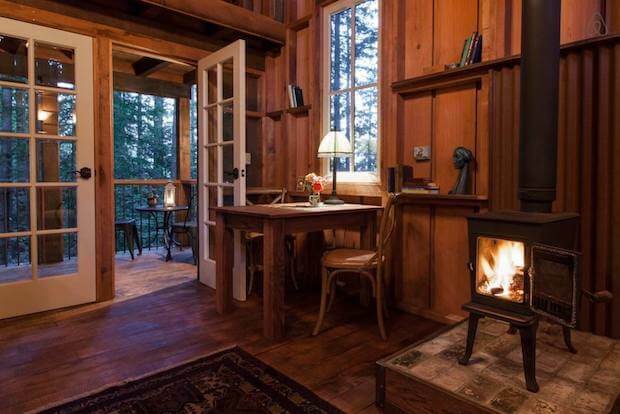 Guests have the choice to fully disconnect from the world or to just make this a nature getaway. 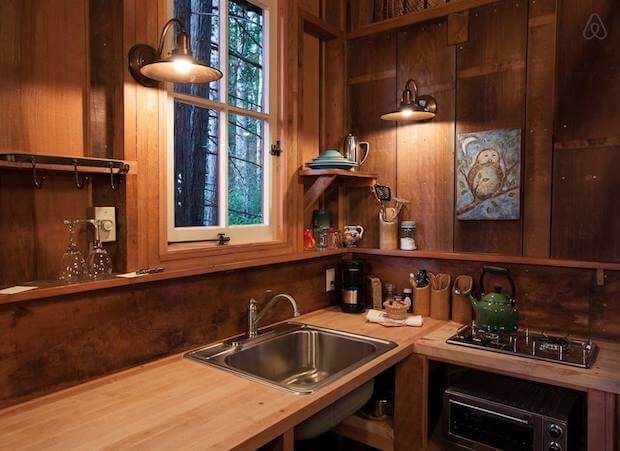 The cabin generally has a warm color scheme with an interior that wonderfully blends with the redwods; the small but well-organized space will ensure guests a cozy stay. 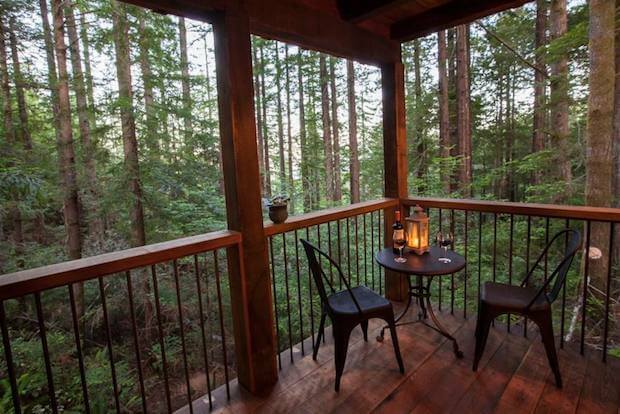 A viewing deck is available and will treat guests to beautiful views of the redwood forest. So if you ever find yourself in the need for a place to just sit back, relax, and take in the serenity of nature then Karen’s Cabin is the best place for you. 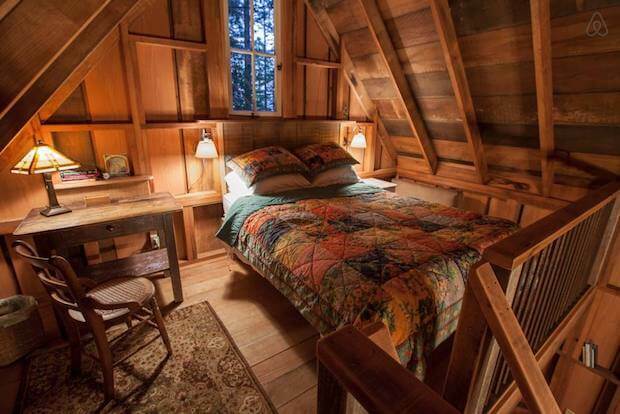 The nightly rate for staying in this cabin is around $160. 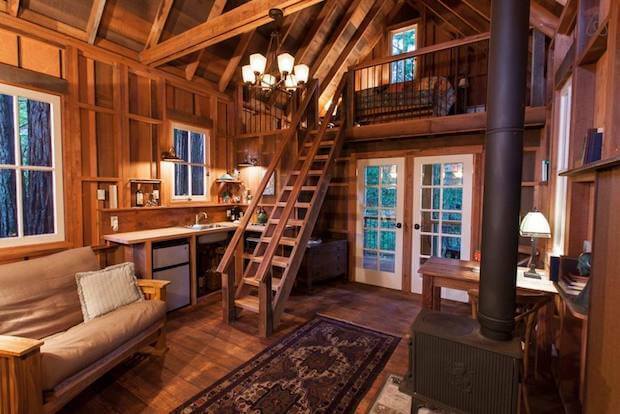 We loved this little cabin in the redwoods. Great amenities considering its isolation. Karen was very responsive, a lovely person. A great place to unplug and relax. The bed was comfortable and we loved keeping warm with the wood burning stove. The internet was good and streaming capable but I had to go to Mendocino to do the most demanding internet based work. All in all – we had a great stay!